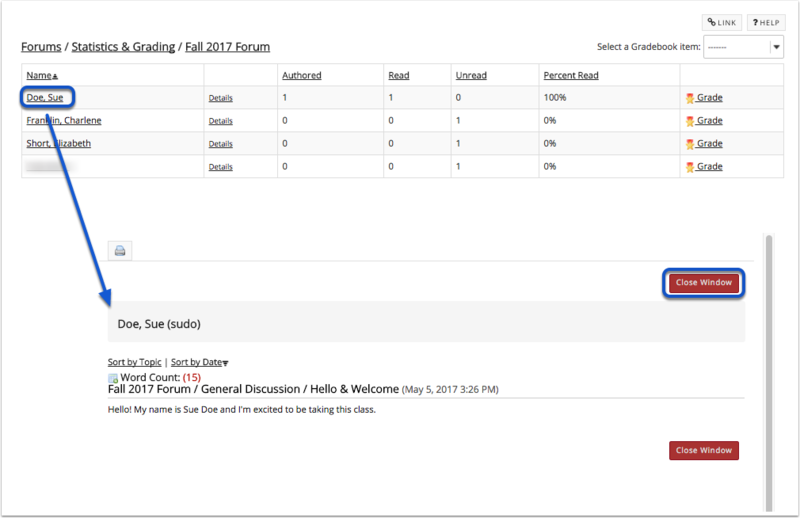 Instructor User Guide ForumsHow do I grade discussion forums? 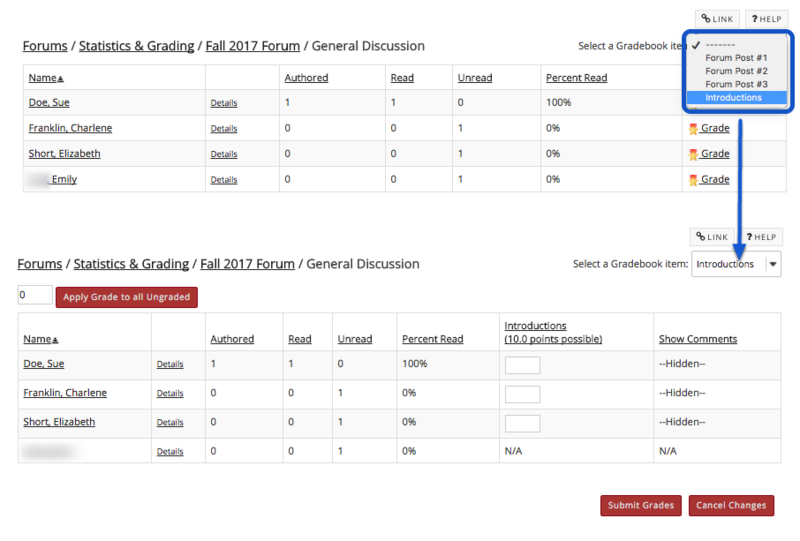 Note: You must create the gradebook item in the gradebook BEFORE you can associate a Forum or Topic with the item for grading. 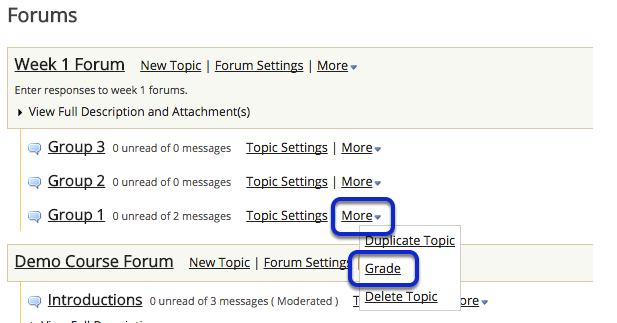 Zoom: Select a gradebook item. Zoom: Apply a grade to all ungraded. Prev: How do I moderate a topic? Next: How do I move a thread to a different topic?